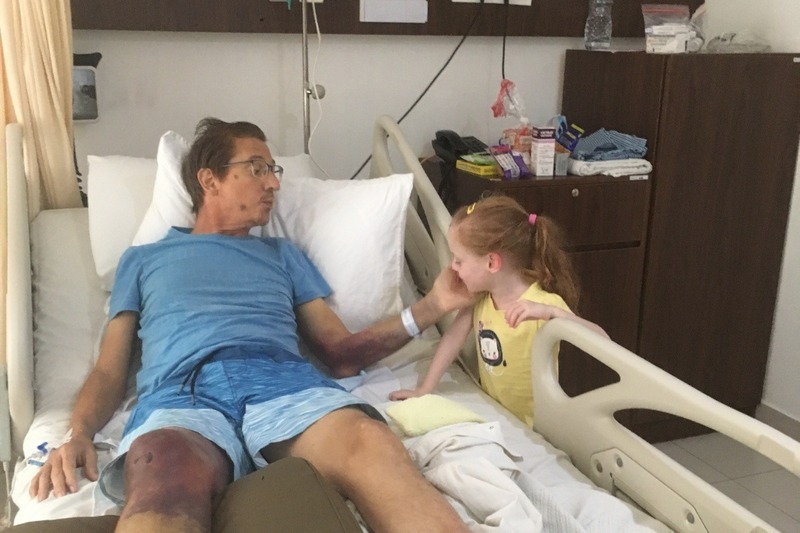 I'm wondering if you can help some of our Perthling friends who are stuck in Bali facing mounting hospital bills for their sick Dad, Duncan. Dunc’s wife, Michelle is an old friend of mine and a member of our Perthling community on Facebook. She and Duncan recently took a gamble and took an overseas trip with their 5 year old daughter, Amelie. The reason this trip was a gamble is that Duncan is a very sick man and not surprisingly doesn’t qualify for travel insurance. 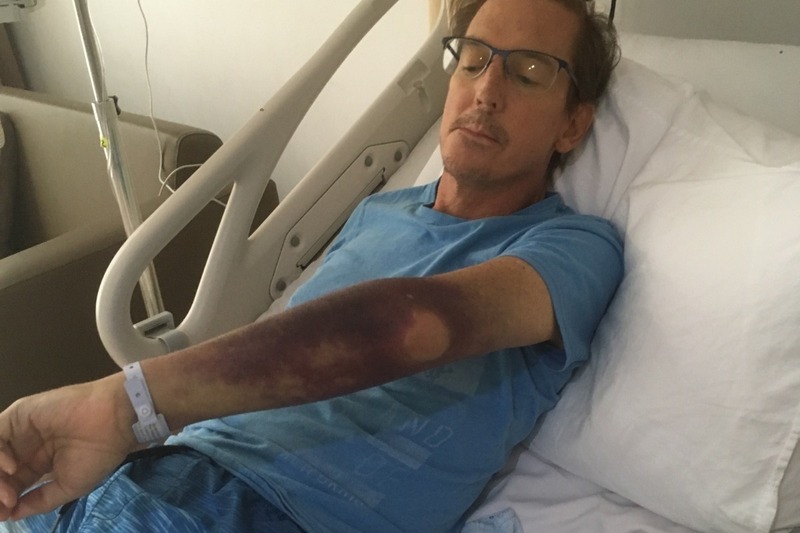 He took a bad turn while flying home from Singapore last week, and is now sitting in hospital at their transit location of Bali, waiting to get clearance to fly the rest of the way home. In short, with the bills now approaching more than ten thousand dollars, Michelle & Duncan need a hand to free up space on their credit cards and get themselves through the next few days stuck in Bali. To tell you more about the background to Duncan’s situation, I’ve asked a mutual friend Lynette to prepare a few words. I hope that like me when you hear why Michelle & Duncan have found themselves in this mess, you’ll consider giving our Perthling mates a bit of a hand to get some breathing space, get Duncan well enough to fly and home safe sooner. Michelle and Duncan are two of the most kind hearted, giving people I know. They have faced more than their fair share of challenges, from their struggle with IVF to conceive their daughter Amelie, to her premature birth at 27weeks. 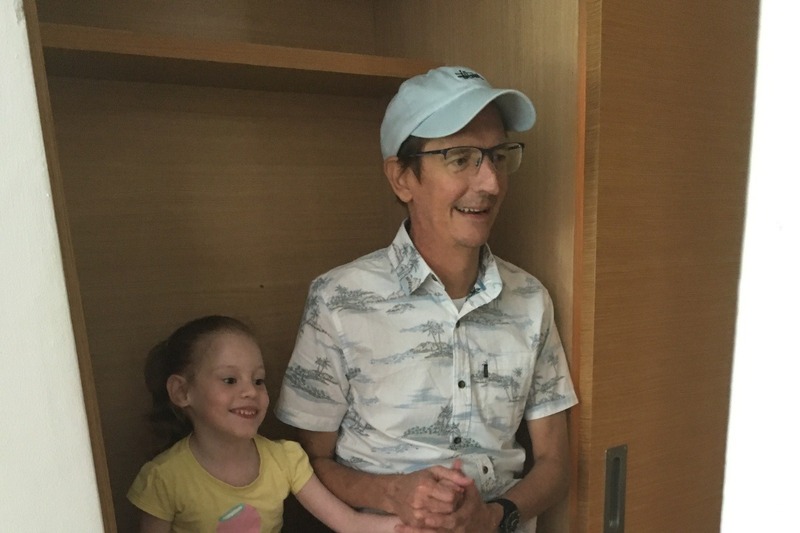 Now they face another challenge – Duncan’s declining health and the devastating fact that he will not be around to see his beautiful daughter grow up. Following a horrific fall down a flight of stairs in July 2017, Duncan suffered an undiagnosed blood clot on his brain which led to multiple strokes and seizures, leaving him completely paralysed and unable to talk. He fought hard for many months to regain his speech and the ability to walk, but the multiple strokes and seizures caused permanent damage, and he now has months to live. Michelle’s sole mission now is to see that Duncan’s remaining are days are spent with his family and they can create incredible daddy-daughter memories that will take her through life. Michelles fiery nature means nothing will get in her way to ensure the very best for Duncan in his remaining days with his family. Amelie is a water baby and has always been obsessed with dolphins. So Michelle researched dolphin swimming experiences in the hope that she could take Amelie and Duncan on a holiday to swim with dolphins together, starting with Australian locations because as you might expect, with so many pre-existing health conditions (and 5 hospital admissions already this year) Duncan doesn't qualify for travel insurance. 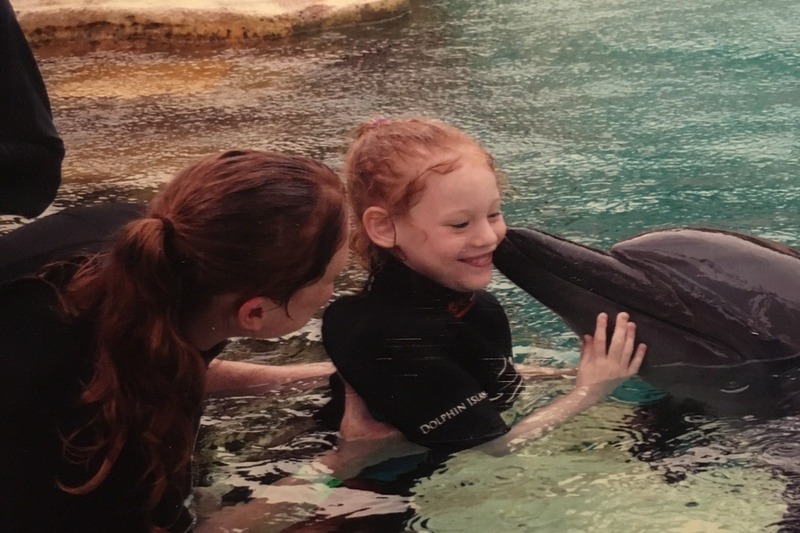 The problem she encountered though is that in Australia to swim with Dolphins kids need to be a certain height, and Amelie –being a tiny prem at birth and remains extremely small for her age. 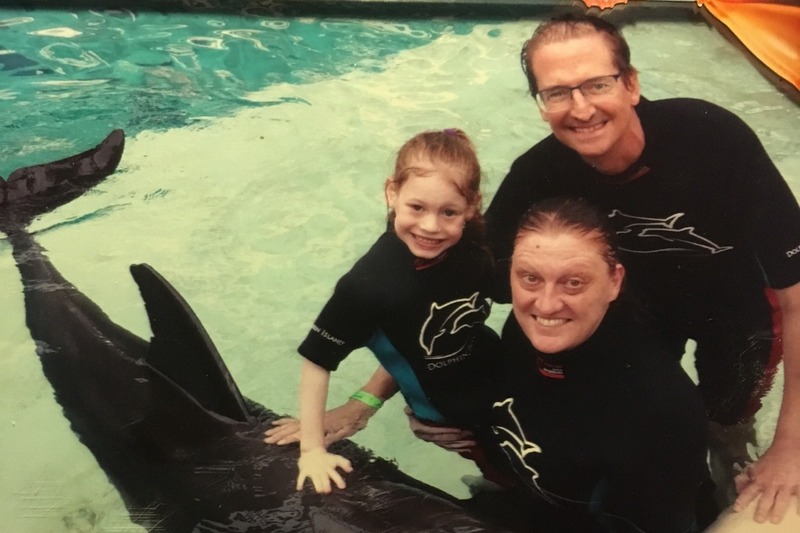 She was just too short to swim at Sea World and as you may know Monkey Mia don't run swim experiences as their Dolphins are wild. Other local experiences didn't fit the bill for various reasons. It was on the way home that things really took a turn for the worse. 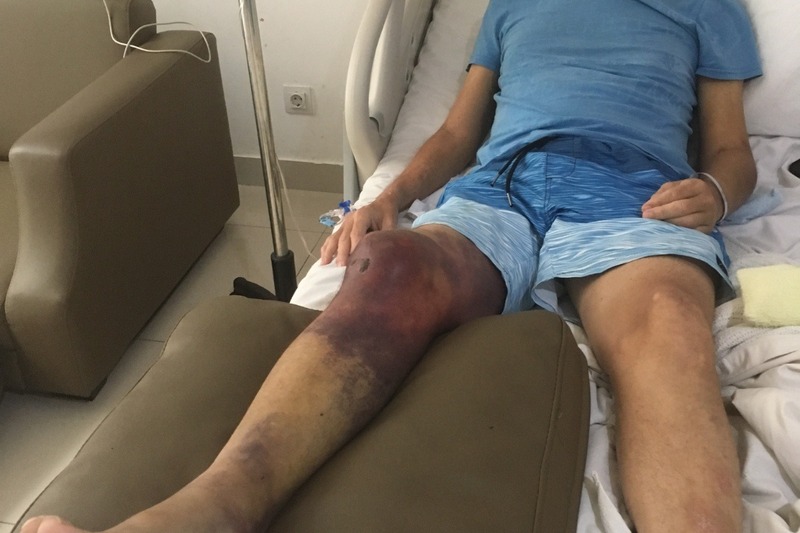 The family were just 30 mins from their transit destination of Bali when Duncan took a severe turn and airline staff insisted he would not be fit to board their final leg flight to Perth. He was taken by ambulance to a Bali emergency department and admitted to hospital for life-saving blood transfusions. Knowing the high costs they were about to be up for - and that after their holiday their credit card was close to maxed out already, Michelle followed the airline's advice to call for Australian Consular assistance and sadly, they have been unable to help. Duncan spent three days in hospital at a cost of $AU2470 PER DAY. His time in the ED incurs an additional cost of $AU1300 and we are waiting to hear how much the cost of those blood transfusions will be. Unable to continue to pay the expensive hospital bills, Duncan was discharged against the doctors’ advice, with bills exceeding ten thousand dollars. 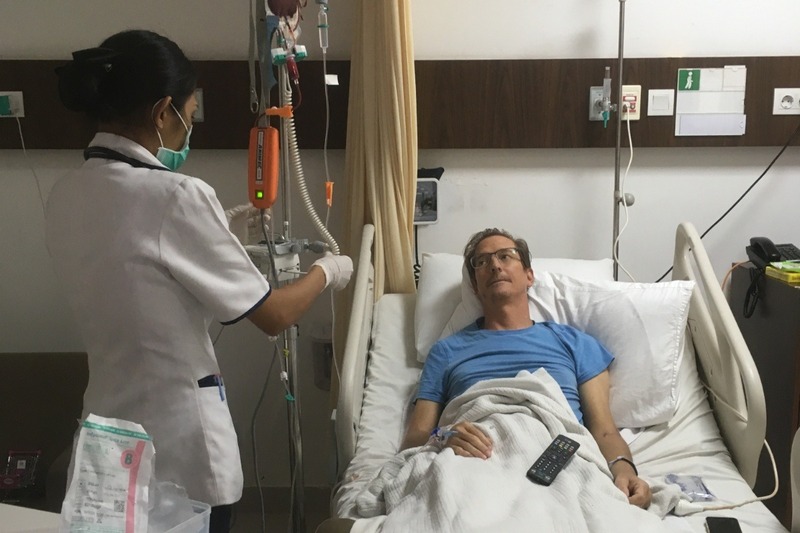 Duncan is NOT cleared to fly and is waiting out his recovery in Bali accommodation under the watchful eye of Michelle. Of course, there is some silver lining in that at least Michelle and Amelie are covered by the credit card's travel insurance to stay on and wait for Duncan. But as you can imagine, with the worry of these mounting hospital bills and Duncan's touchy health situation, the whole thing is far from the perfect end to the perfect family holiday that Michelle & Duncan had been hoping to provide for Amelie. Michelle and Duncan are doing the very best they can to keep this whole situation as positive as they can for Amelie, and they knew the risks they were taking when they were taking when they chose to leave Australia without full cover for a sick Dad – but what would you do? What would be on your bucket list if you had just months to live? I can assure you they're wishing things had gone differently – and it is so heartbreaking that they were only hours from returning to Australia when things turned pear shaped. 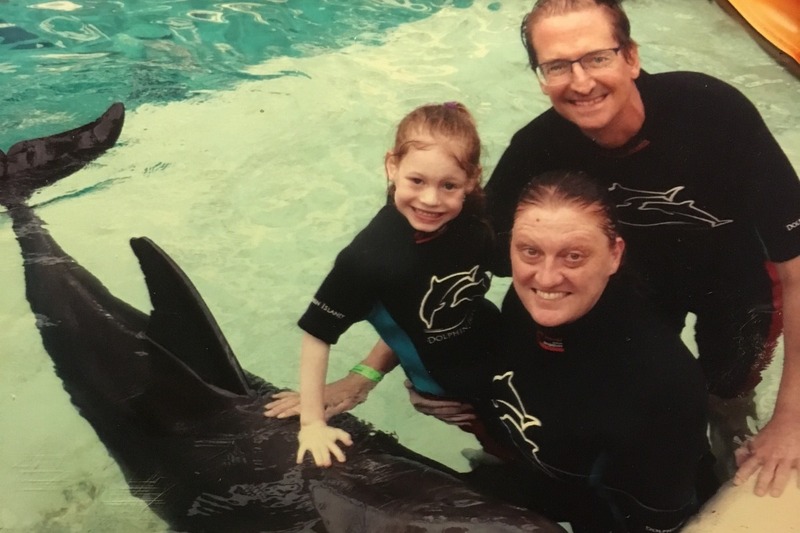 I for one am so happy to see this family's beautiful Dolphin swim photos - but my heart breaks for Michelle and the growing debt they will face on their return to Perth.